"We filed tampering with evidence because they threw the gun down a storm drain after the shooting,” Herman told ABC News. 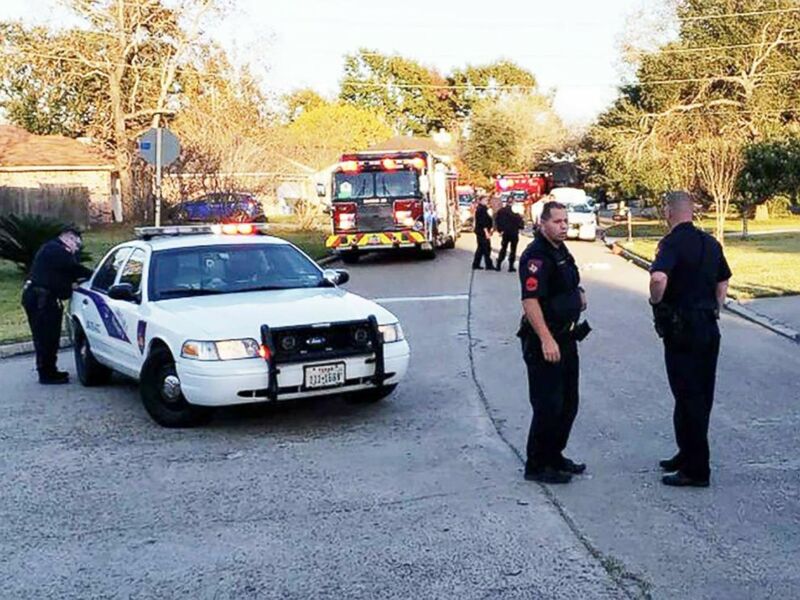 Police respond to the scene of an apparent self-inflicted gunshot injury in Texas. "She had some pretty good wounds. She blew off the heel of one foot,” Don Sievertson, a 68-year-old veteran who ran out to help the girl, told ABC News. "She was in excruciating pain and she had every reason to be. She had very severe wounds, very severe.